This summer our office has been extremely busy with numerous internal projects in order to serve you better don’t you want increased up time/ decreased downtime? We are constantly working on ways to improve your technology experience. Stay tuned! In the coming weeks and months we will be rolling out a new and improved Avenue M Computers! 1. Less than 10 days left to grab your free copy of Windows 10! If you are going to make the move, make it today! 2. Carbonite reset everyone’s passwords as a security precaution. If you want us to hold onto your password – please give us a call so that we can update our information. Back in the day people would manually back up their data to a tape or zip drive. 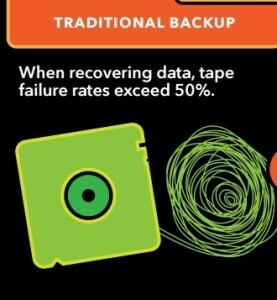 As time progressed, many of the tapes were replaced with external hard drives or NAS devices and the process became automated. No longer did one need to manually hit the “back up” button, rather the backup occurred on a schedule (generally once a night). 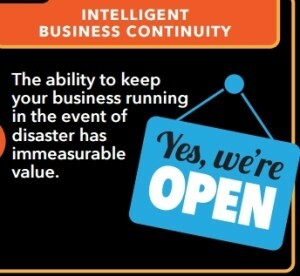 With increased Internet availability and speed, companies started offering cloud-based backups. 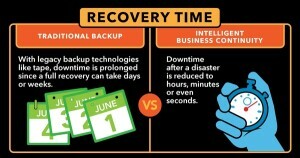 What is a cloud-based backup? 1. Location – No longer are you storing “all your eggs in one basket.” Rather than having your backup sit right next to your PC or server (and if a fire or flood strike, you lose everything) the data which is being backed up is stored somewhere else. 2. 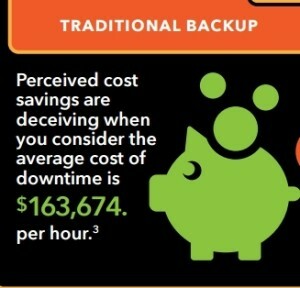 Frequency – These backups can happen quite often – actual time depends on the company. Every 10 minutes for a new document is considered standard. If your system(s) go down, your backup plans mentioned earlier will take hours to days to restore back to normal. So what do people who want ZERO DOWNTIME do? Using new technology, we can instantly load an identical version of your computer or server. In case your computer or server has a hardware or software issue – or even if the entire office is under water – your computers and servers will be down for minutes, not hours or days. This keeps your technology up and available for you and your entire office, no matter what happens to the actual computers and servers.